Counting calories isn’t just challenging; it’s also shocking sometimes. Who knew you’d been eating three times the recommended serving size of almonds? Well, we’ve got your back! 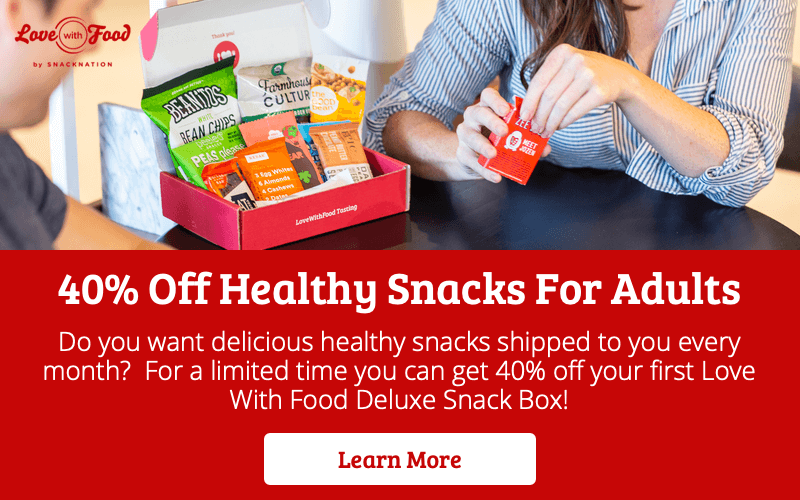 Here are some tasty and healthy low-calories snacks you know you can enjoy when you’re looking to “spend” any amount of calories from 50 to 300. 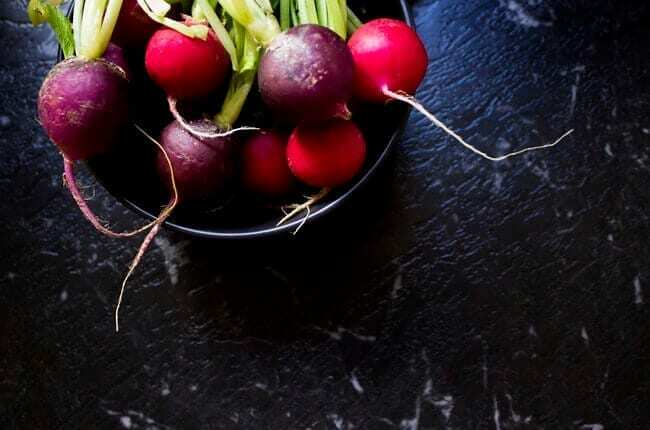 A root vegetable (often eaten as a mere afterthought in salads), the radish makes a strategic snack when you’re counting calories. It’s satisfyingly crunchy with a peppery flavor that tastes much bigger than its caloric load. Dip radish slices in your favorite mustard, which usually only has a few calories per tablespoon, to enjoy a boldly flavored snack for under 50 calories. One major secret to successfully cutting calories is to figure out how to enjoy the flavors you love on healthier “vessels.” So if you absolutely love eating chicken wings, then try your favorite hot sauce on crispy celery sticks instead of fatty chicken wings. An entire large stalk of celery has only 10 calories, so you have plenty left to “spend” on hot sauce. Note: Most hot sauces are extremely low in calories. If you’re springing for wing sauce, be sure to check the label for calorie content. 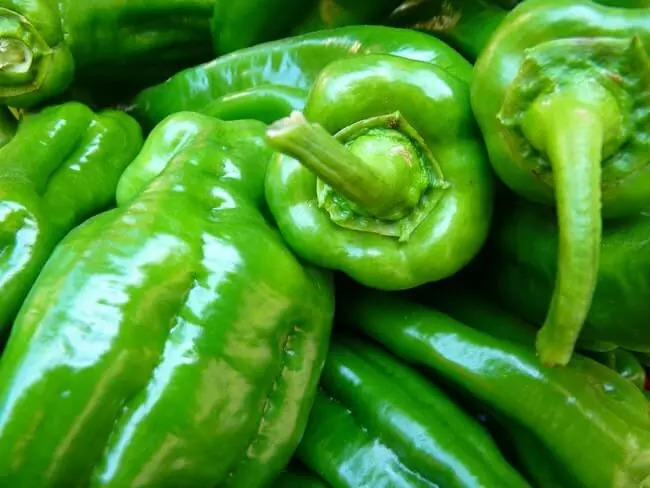 Sweet crunchy green bell peppers make amazing dippers when you’re counting calories. They have far fewer calories than even the healthiest chip out there, and they give your body potassium and vitamin C. To create a low-calorie snack with big flavor, slice up a pepper and eat it with one ounce of plain greek yogurt seasoned with a pinch of curry powder. 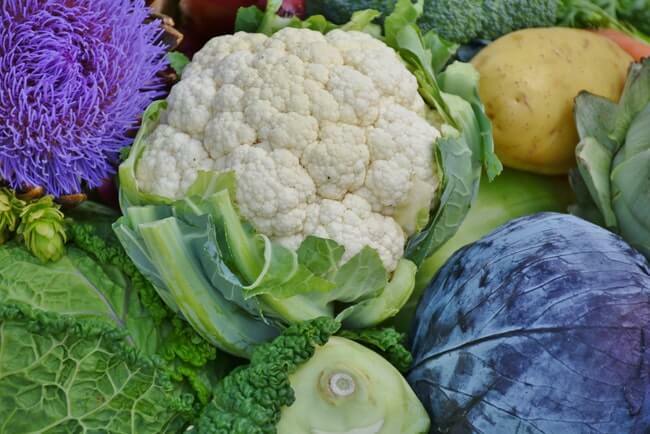 Starchy, fiber-filled cauliflower fills you up on minimal calories. Turn raw cauliflower into a taqueria-ready snack with a squeeze of fresh lime juice and a dusting of zesty cumin. Another fantastic rule for cutting calories is to go big on flavor. 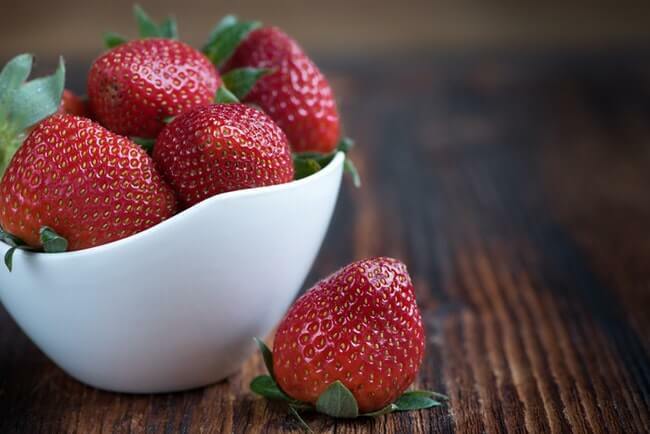 A low-calorie combination beloved by gourmands around the world, the marriage of strawberries and balsamic vinegar has enough flavor to keep your taste buds sated for hours. 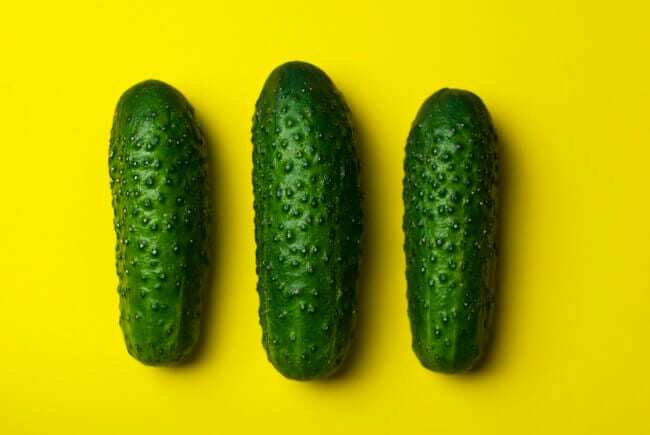 Vinegar is the perfect way to get big flavor without spending tons of calories, and it transforms a simple cucumber into a flavorful snack. 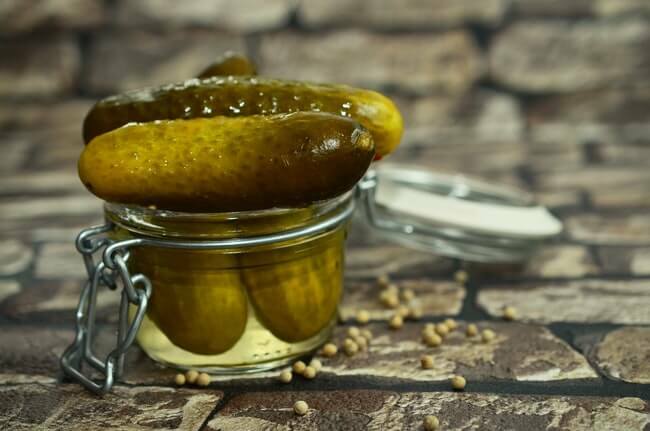 To make healthy overnight pickles, just boil 1/2 cup of vinegar with 1/2 cup of water, add a teaspoon of salt, and pour the mixture into a jar with one cucumber sliced into spears or circles. Cover the mixture and let it sit overnight. Enjoy half of the fresh pickles the next day when you need a light snack. Cut into thin, crisp slices, cucumbers are basically nature’s chips. Their mild fresh flavor tastes good with any kind of dip or condiment you can think of. 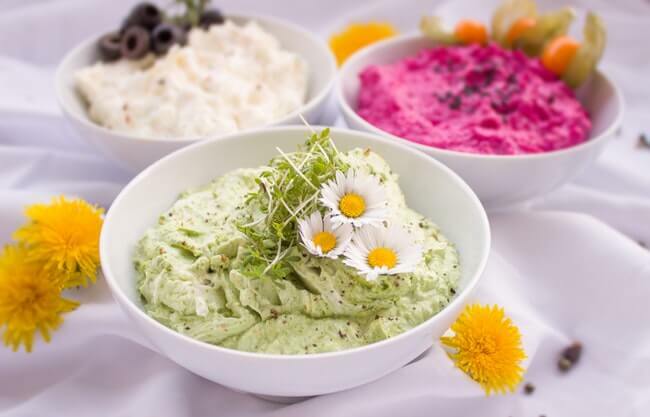 Furthermore, cucumbers and hummus make a classic combination, providing vitamin K, potassium, and vitamin C.
Bodybuilders love munching on egg whites to get their protein without consuming many calories. The trick to successfully snacking on egg whites is to avoid integrating a ton of calories during cooking. That means no butter or oil. 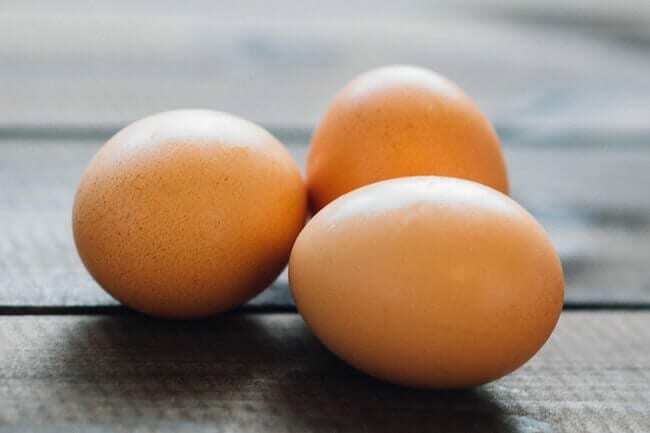 Froth up the egg whites in a bowl with a fork, give your go-to pan a spray of light cooking oil, and bake the egg whites up into a non-fuss omelette with a pinch of salt and a pinch of pepper. 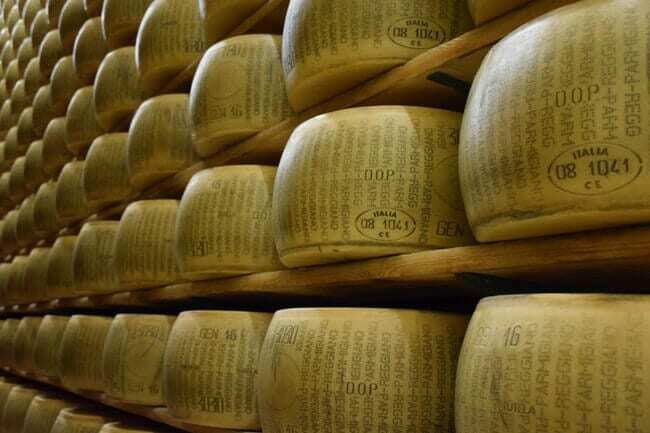 Parmigiano-Reggiano is a tasty, concentrated cheese: It has big flavor, and a little bit goes a long way, so it’s perfect for indulging your dairy cravings when you’re watching calories. You can eat your broccoli and cheese raw, or zap it for about 20 seconds to release and combine the flavors. Be sure to use high-quality sea salt to get the best flavor experience from this out-of-the ordinary light snack. The salt brings out the fruity acid in the cantaloupe. 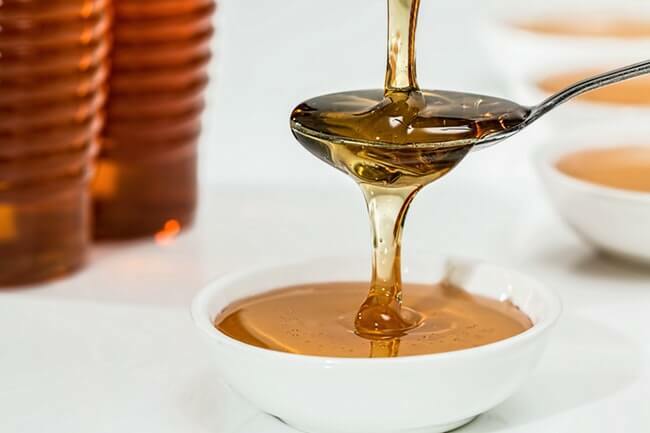 Give it a try; it might just become your go-to snack. This snack is kind of a like a fruit salad and kind of like a salsa. 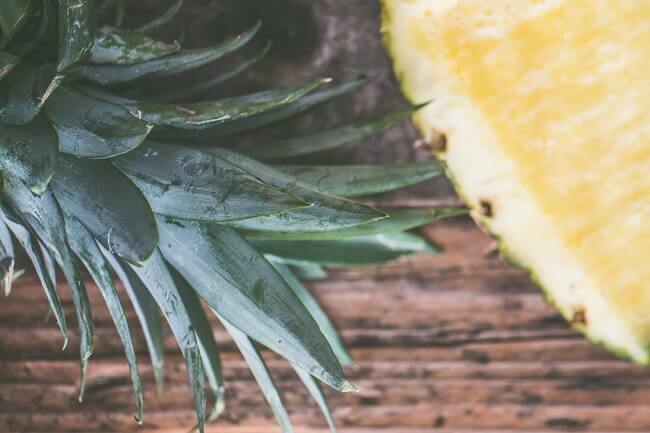 The bold, refreshing flavor combination is just what you need when the urge to snack strikes. Ice cream? On a low-calories snack list? It’s true. Cutting calories can cause overwhelming cravings for favorite comfort foods. 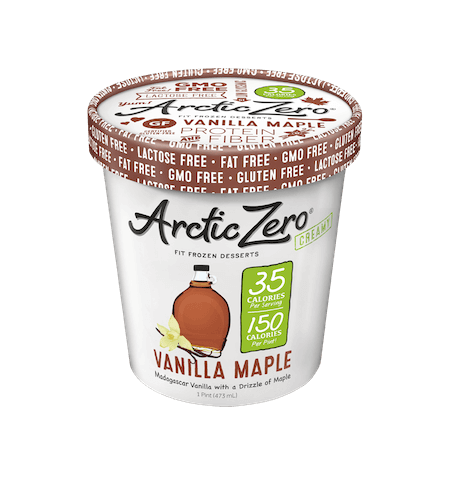 With just 35 calories in a serving, this remarkable ice cream ensures you can give into your cravings (occasionally) and suffer minimal negative side effects. Seaweed is packed with sea minerals you can’t find in many other foods, and it’s super low in calories. 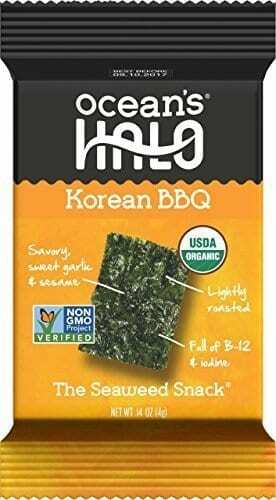 Ocean’s Halo roasts it up and tops it with some savory Korean BBQ flavor to create one of the lightest and most satisfying snacks you’ll ever have. 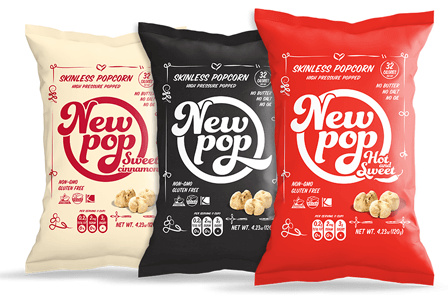 New Pop creates their one-of-a-kind skinless popcorn by removing the corn kernel’s skin before they start their unique popping process that uses pressure instead of heat and oil or butter. The result is light, fluffy and vegan, with zero grams of fat and lots of fiber. And because they remove the kernel skins, there’s nothing jagged to get stuck in your teeth. Air-popped popcorn make a fantastic snack because it doesn’t make you feel deprived. You can eat 3 whole cups of the crunchy kernels and use only 100 of your day’s calories. 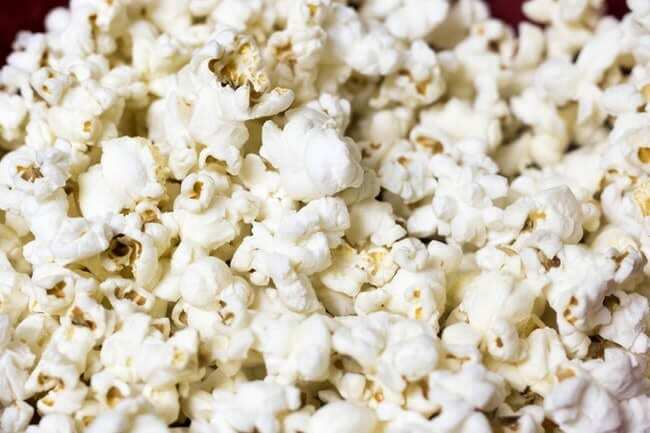 Popcorn also has lots of fiber to keep you full, and it even has some muscle-regulating magnesium. Best of all, mildly flavored popcorn tastes amazing with any flavor. Sprinkle it with salt and pepper, dried thyme, chili powder, Old Bay, and anything else you want. Just check the nutrition label on your seasoning before you go bananas. Heart of palm has a fresh and crunchy, yet rich, texture that makes it more satisfying than most vegetables. The dense veggie is full of vitamin B6 and potassium, and it even has a little protein. Served in a bowl drizzled with flavorful sriracha, heart of palm is not just a low-calorie snack; it’s a culinary experience. You might want to turn on some classical music before enjoying this healthy snack. 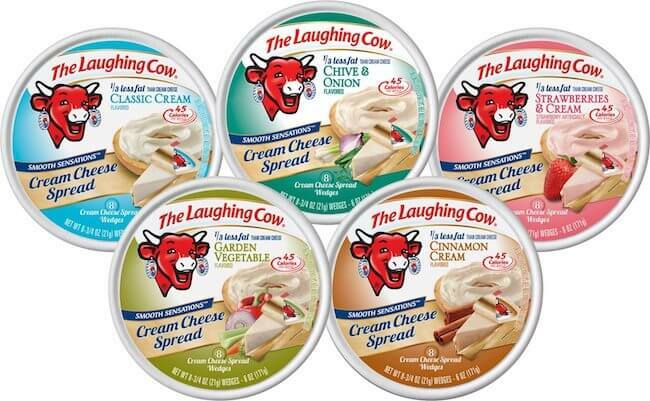 Slice up half a pear and spread on Creamy Light Swiss Laughing Cow Cheese. Eat the slices slowly for a good-for-you snack and flavor experience in one. 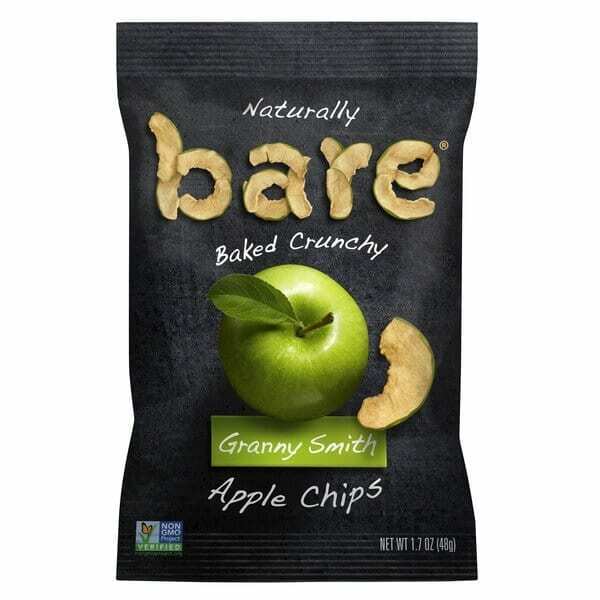 When you want a snack that’s healthy but feels a little bit more indulgent than a plain apple, reach for Bare Granny Smith Apple Chips. The only ingredients in these chips are apples that have been oven-baked to achieve that perfectly crunchy, chipiness without any oil. This Mediterranean-esque snack is packed with filling protein and rich flavors. Sprinkle on some sea salt to add even more depth to the flavors in your snack. 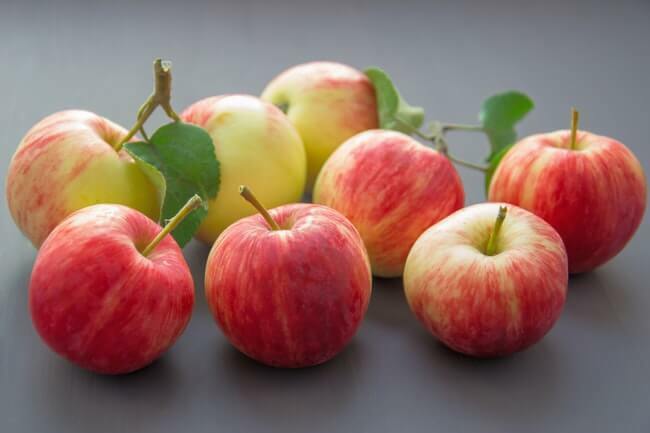 Slice up your apple, sprinkle it with cinnamon, and dip the spiced slices in some plain yogurt. This simple snack is an easy adult spin on the sugar-laden caramel apple. The yogurt provides protein, the apple has fiber, and the cinnamon offers antioxidant goodness and flavor. There are few healthy snacks more simple and perfect than the noble hard-boiled egg. Make sure you boil the eggs correctly to bring out the natural flavors. Drizzle one boiled egg with mustard, sprinkle it with salt, or top it with fresh herbs for a quick snack that feels anything but restrictive. Starchy jicama sticks are just as satisfying (not to mention more interesting) than the average tortilla chip, and since they’re light on calories, they make the perfect vessel for snacking on calorie- and nutrient-dense guacamole. One half of a small jicama has a whopping 9 grams of dietary fiber. Cucumbers don’t just make great chip substitutes when dipped in hummus; they also make crazy-good cracker substitutes when topped with flavorful cheese. Spread (or slice) an ounce of your favorite goat cheese onto sliced cucumber to keep your stomach full until it’s time for your next meal. Cheddar cheese makes it onto our list of healthy low-calories snacks because a little bit goes a long way, and nothing crushes cravings like the salty, fatty, goodness of cheese. While cheese is high in saturated fat, eating just a serving size occasionally can help keep your cravings in check, so you can avoid falling off the wagon and devouring an entire block at once. Yogurt with blueberries is great and all, but why not give your healthy snack a savory twist? Sweet juicy blueberries pair perfectly with briny rich feta to create a snack that tastes much richer than it is. 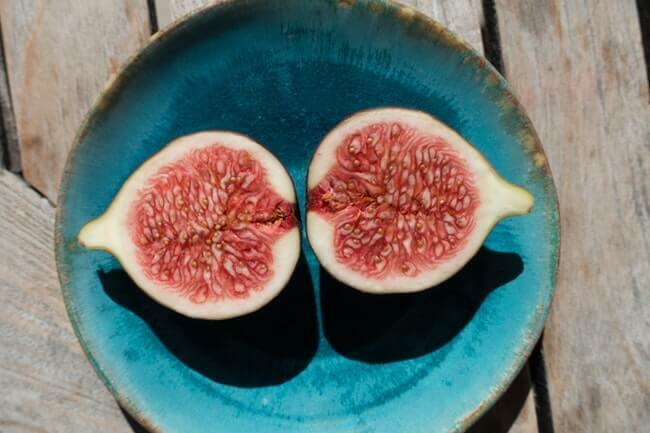 Plus, this quick snack also provides vitamin C, fiber, and protein. One cup of pico de gallo might seem like a lot for 10 tortilla chips, but that’s precisely the point. Keep your calorie consumption in check by using chips as mere transportation mechanisms for the awesome fresh flavor of pico de gallo, which is kind of like a super-chunky salsa. 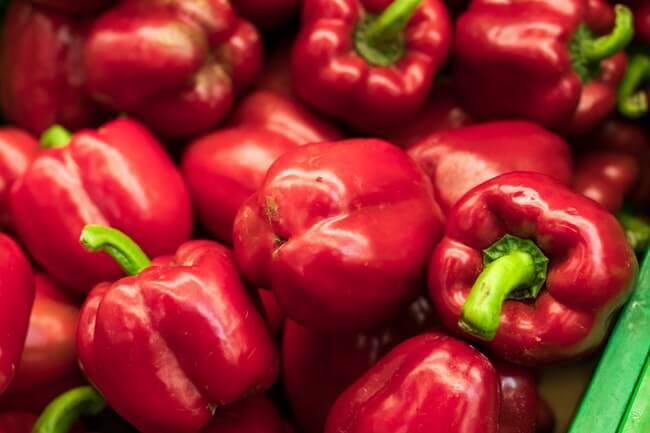 Packed with beneficial phytochemicals, red bell peppers are sweet and flavorful enough to eat on their own. Pair them with some mineral-rich tahini to make a light snack with subtle Mediterranean flavors. We know you’ve heard it before, but we have to say it again: Almonds are one of the quickest, easiest, and healthiest things to snack on. 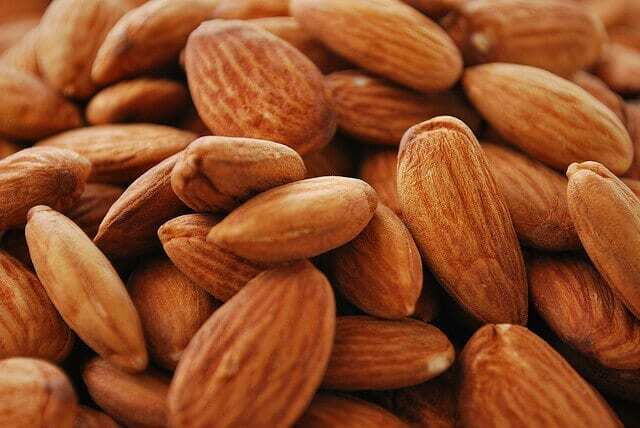 No healthy low-calorie snack list would be complete without the versatile almond, a nut with lots of iron, magnesium, calcium, and protein. Toast is boring. Toast with strawberries, basil, and goat cheese is exciting and good for you. Toast makes the perfect healthy snack when you don’t want the calorie load of the entire sandwich, but you still want a lot of flavor. Slice up some dates and top them with just a pinch of ricotta cheese to make a healthy snack you could also serve as a fancy appetizer. Dates are filled with zinc and fiber, and they are the perfect way to make eating a little ricotta cheese feel like you’re eating a lot. This easy, low-calorie take on Moroccan spiced oranges tastes more like an indulgent dessert than a healthy, low-calorie snack. 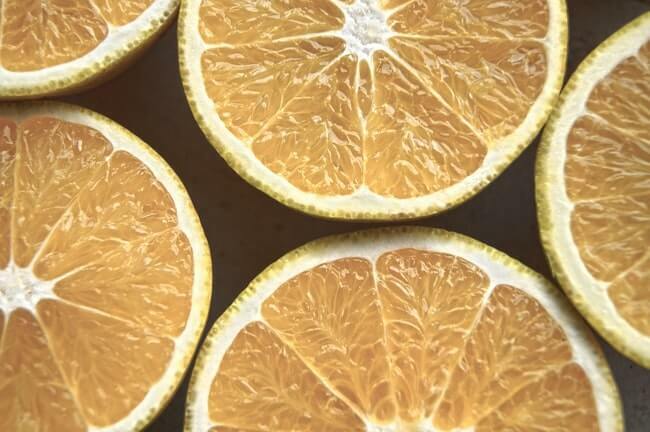 And thanks to the vitamin C and enzymes in this “dessert,” you’ll feel more refreshed than sluggish after eating it. Carrots with ranch dressing make a great snack…if you’re 12. Boost the tastiness and good-for-you levels of your old after-school snack with nutrient-rich rainbow carrots and better-for-you tzatziki. 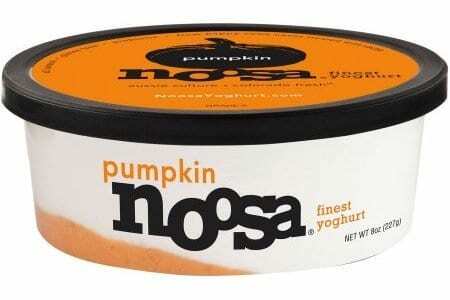 Noosa takes special care to make their yoghurt from the finest quality local milk.The pumpkin flavor has 6 grams of protein and all the cravable flavor of pumpkin-pie filling. 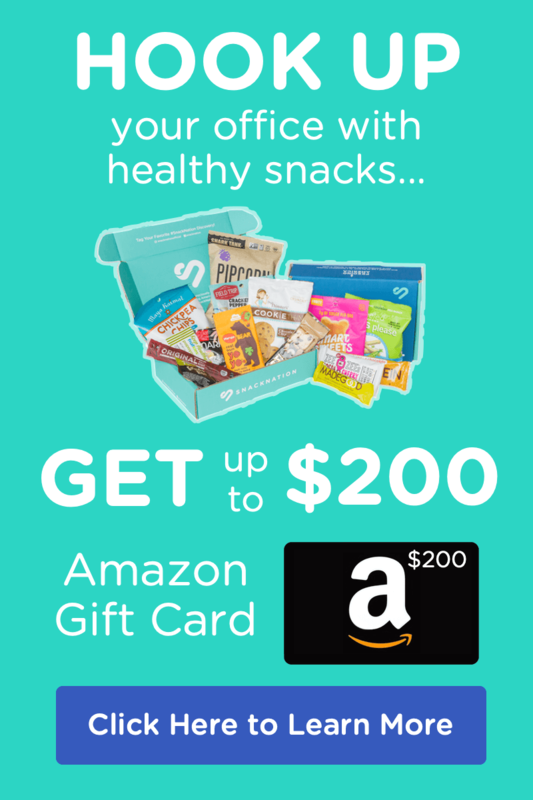 With beta-carotene in your chips and protein in your dip, you have a healthy snack that tastes good, feels good to eat, and keeps you full until your next meal. To make this glamorous and light snack, just slice a peach in half, pop out the pit, and put a tablespoon of mascarpone cheese in each half. 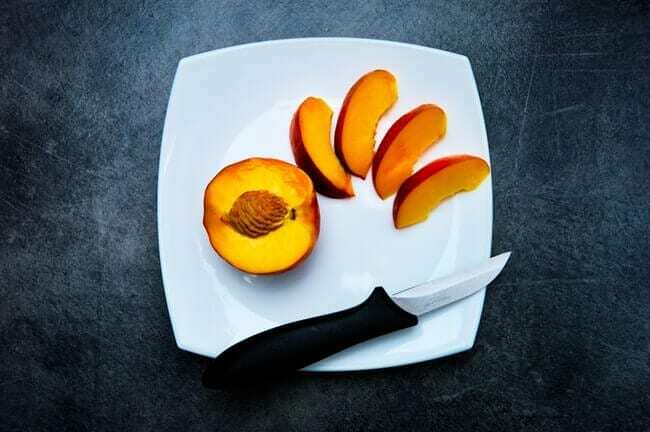 If you want a little more flavor, try sprinkling the pitted and sliced peach with cinnamon. Microwave it for about 25 seconds to bring out the juices. Skip the jarred bean dip and make your own version that’s filled with fiber, protein, and iron. Just toss some salt and a squirt of hot sauce on 1/2 cup of canned black beans, microwave the beans for about a minute, and then mush everything up using a potato masher. That’s all it takes to make some pure and simple bean dip with no funny business. Here’s a healthy low-sugar take on a parfait. Almond butter and goat-milk yogurt give you plenty of protein, and the sweet banana makes your body think it’s getting a decadent sweet treat. Microwave the almond butter for a few seconds to make it easy to drizzle. There’s a reason avocado toast is so popular: It’s delicious and incredibly good for you. 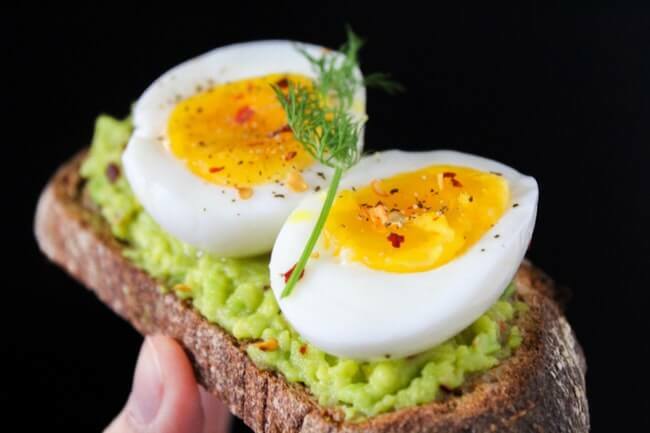 The good fat in the avocado is perfect for conquering hunger, and the fiber in whole-wheat bread fills up your stomach. You’ll never want to put plain butter on your toast again. 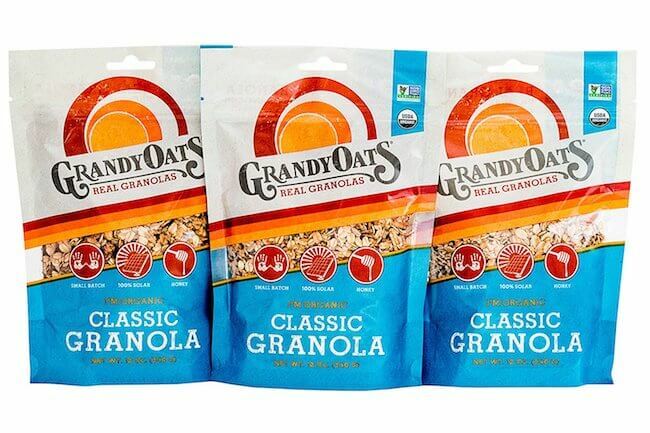 Granola has been a favorite among health foodists for decades. Its pure goodness leads to pure energy. This blend has oats, sesame seeds, pumpkin seeds, coconut, and more. Fiber-filled apples and protein-packed peanut butter are a healthy and tasty combination—definitely not just for kids. Trust us! Try this snack again, and you’ll wonder why you ever stopped eating it. 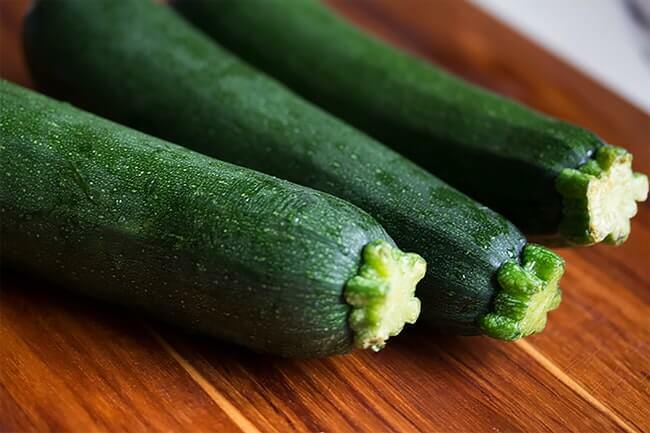 Slice up the zucchini (use a mandolin if you have one) and spread on some pesto. Then cut up the turkey so it fits on top of the zucchini slices, roll everything up, and stick in a toothpick. Lighter than a sandwich, these rolls are the perfect way to get your turkey fix. Toss together this pita snack in minutes to get your fill of protein, iron, and whole grains. 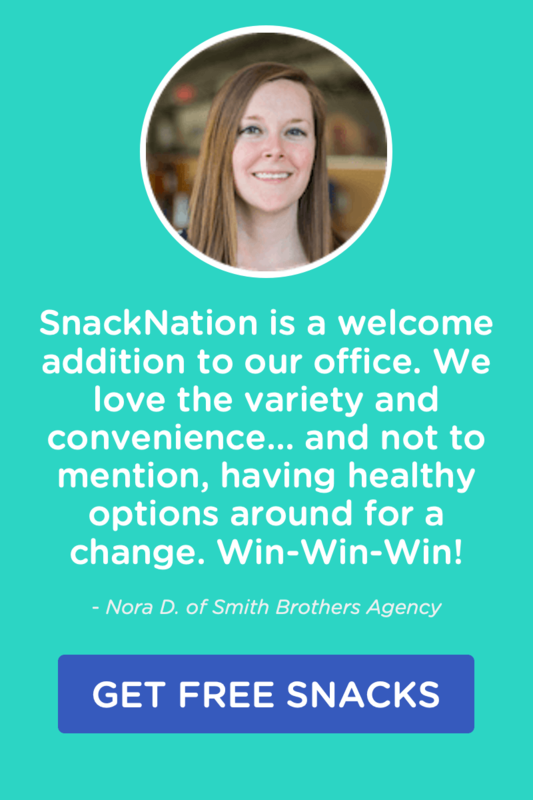 We love this snack because you can even take it with you on the go. This snack-worthy take on a salmon and avocado roll is super easy to make and delightful to eat. The good fats in both the salmon and the avocado will send your between-meal hunger packing. This healthy snack captures all the flavors of the meal to end all meals: Thanksgiving dinner. But this snack will leave you feeling just full enough, instead of stuffed. Farina is wheat meal that’s often turned into comforting hot cereals, like cream of wheat. 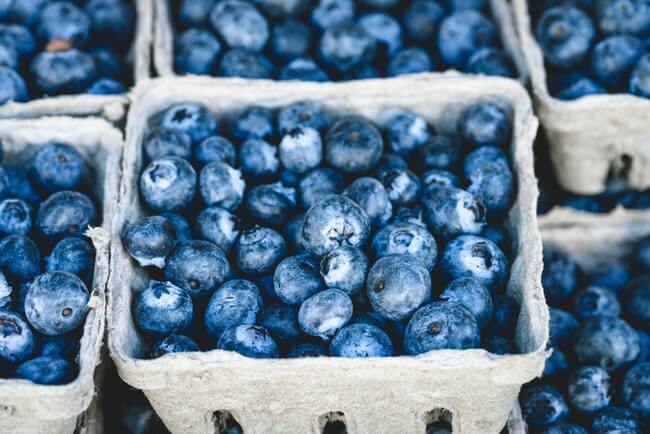 Boiled in water, farina makes an excellent base for some tasty and healthy toppings, such as blueberries, pistachios, and lemon juice. What’s your favorite low-calorie snack? Let us know in the comment section below!